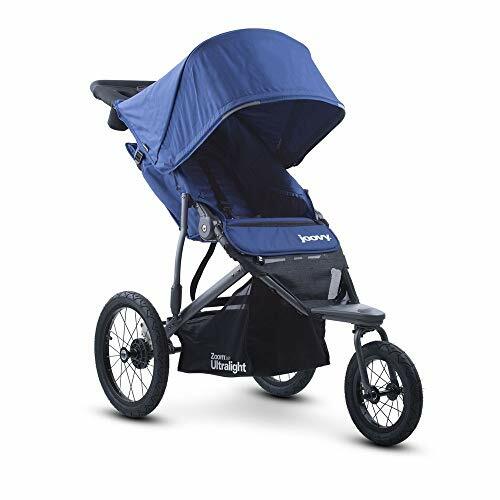 Lightweight collapsible baby stroller with reversible handle. Sturdy construction and easily collapsible. Lightweight collapsible baby stroller with reversible handle. Sturdy construction and easily collapsible. – Super Lightweight 11 lbs. FRUSTRATION FREE PACKAGING: Arrives ready to roll – just attach two tires! 【BABY STROLLERS LIGHTWEIGHT STROLLERS】NANO Lightweight Baby Stroller is stylish aluminum frame Super Lightweight 11 lbs. 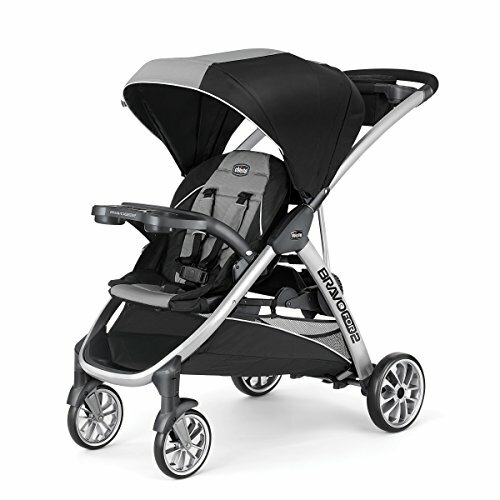 It has front swivel heavy-duty wheels with a five-point harness, rounded movable canopy-visor and diaper and feeding bottle mesh compartments. 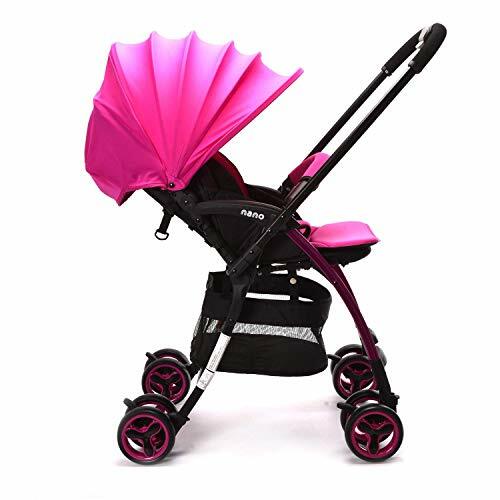 【PROTECT YOUR CHILD FROM THE ELEMENTS】This stroller with canopy is designed extra-large extendable canopy with sun visor to protect your baby from rain or shine. 【BABY STROLLER SAFETY SYSTEM】New and improved easy compact fold with carry strap and auto lock,Anti-shock front wheels and lockable rear wheels,giving more security to your little one. 【MOST FUNCTION】It features swiveling front wheels and a suspension system that gives you outstanding control. 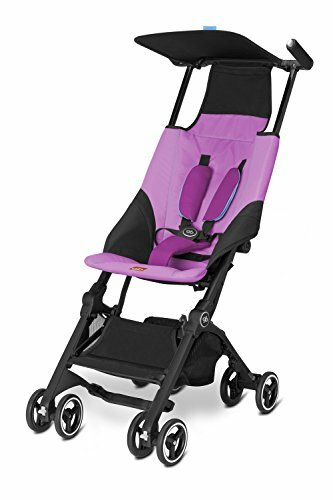 It even keeps your child comfortable during the warmer months – the stroller’s padded seat rolls up into a comfy headrest and exposes a mesh back that allows for airflow. 【PERFECT FOR DAY TRIPS OR EXTENDED TRAVEL】For families with a passion for local or overseas travel and exploring, WonderBuggy is the quintessential choice as it stows away easily in any plane or just stowing away in the car!